Karine Foisy is a passionate about art and decoration. Her love for glass fusion started in 2010, after discovering the art through a workshop offered by the Atelier F-Fusion glass workshop. 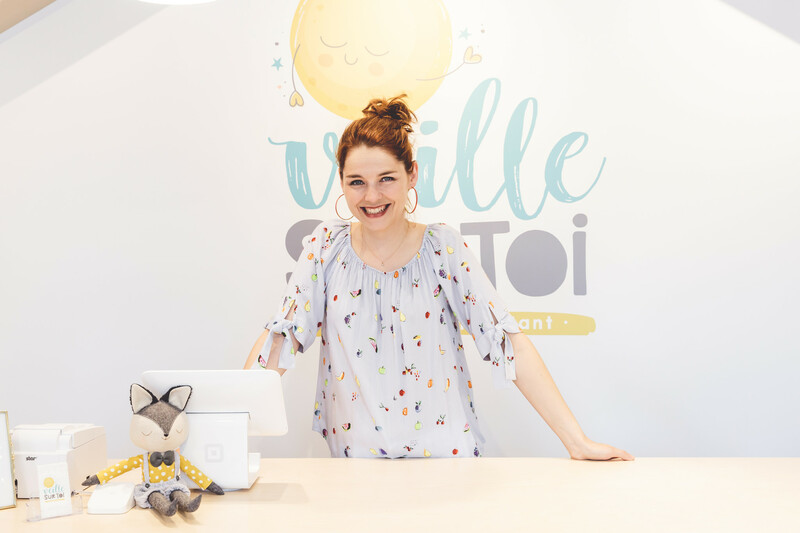 In 2013, Karine opened her Etsy store and started her Facebook page, officially launching Veille sur toi, a small business specialized in creating nightlights for children. Her products were quickly in high demand. In addition to her work as an artist on her own hours, she’s a mom to three children, Béatrice, Raphaël, and Elliot. She draws inspiration from the world of childhood in making her creations, luminous companions that watch over your little ones and help them sleep. With vibrant colours, and funny and lovable characters, Karine’s creations are unique, colourful, and wonderfully comforting! Veille sur toi counted 40,000 fans on Facebook, and over 30,000 sales across the United States, Canada, and Europe, with over 120 points of sale across these regions. With increasing demand, our entrepreneur is looking to soon expand her production team. Sarrah Gagnon-Palin, Mélisa Blanchet and Vanessa Foisy are lending their skilled hands to bring the Veille sur toi creations to life. The team could not be completed without the extraordinary work of Magalie Dufresne, Kim Aubin and Simon Boulanger. Together, they make an excellent team! 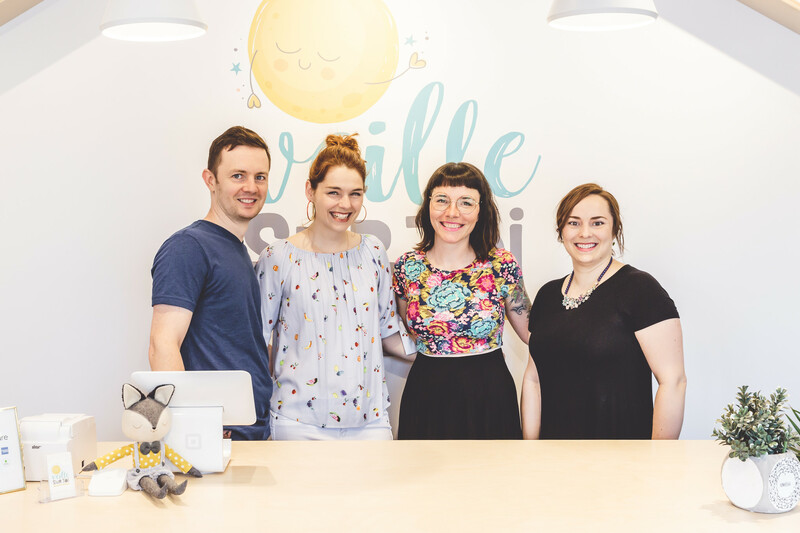 Veille sur toi made a name for itself at Etsy’s Design Awards in May 2015, winning the grand prize for Best of Quebec out of over 400 creators from the province. In July 2015, a Veille sur toi creation appeared in the American film Southpaw. This small cameo was made by one of our little pink raccoons! In December 2015, Veille sur toi achieved its dream of participating in the Salon des métiers d'art de Montréal, Quebec’s largest arts and crafts show. In January 2018, Karine won a $ 24,000 scholarship and a one-year mentorship with Desjardins through the Adopte Inc. Entrepreneurship Program! In June 2018, Veille sur toi realizes a big dream, that of having a boutique, in Laval, in a large local that also hosts the creative workshop of the company. This Quebec company is growing by the day!